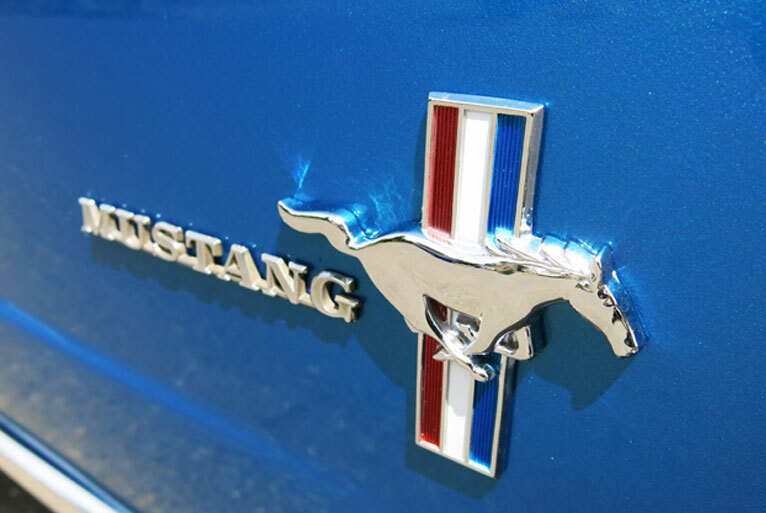 Mustang Fever It's hard to find a cure. After seven Mustangs Mike Spicer lands on his keeper 1965 fastback. 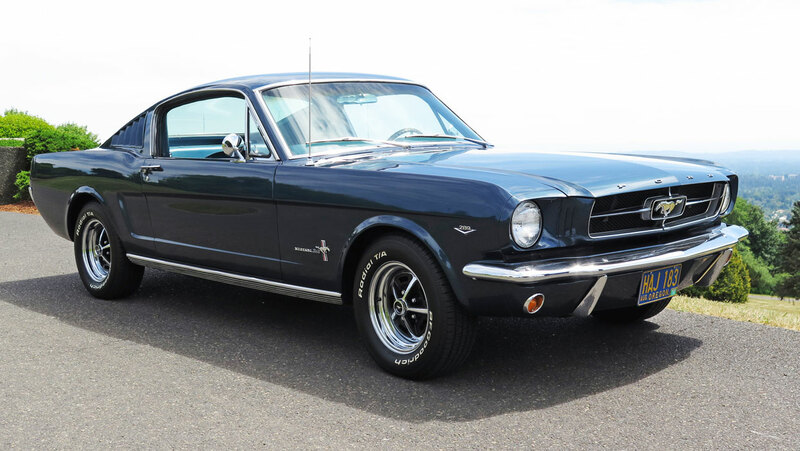 There’s only one cure for Mustang Fever and that’s to go out and buy one. 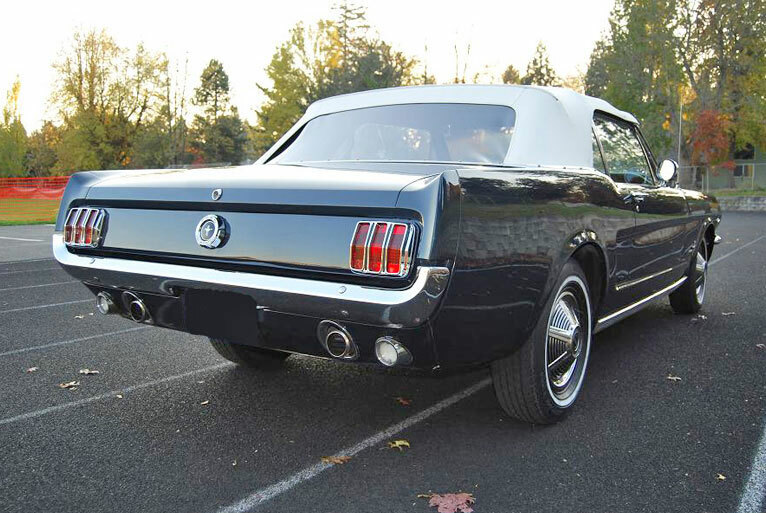 Mustang Fever hit me early and I went through seven cars over twelve years before I found the perfect fit. 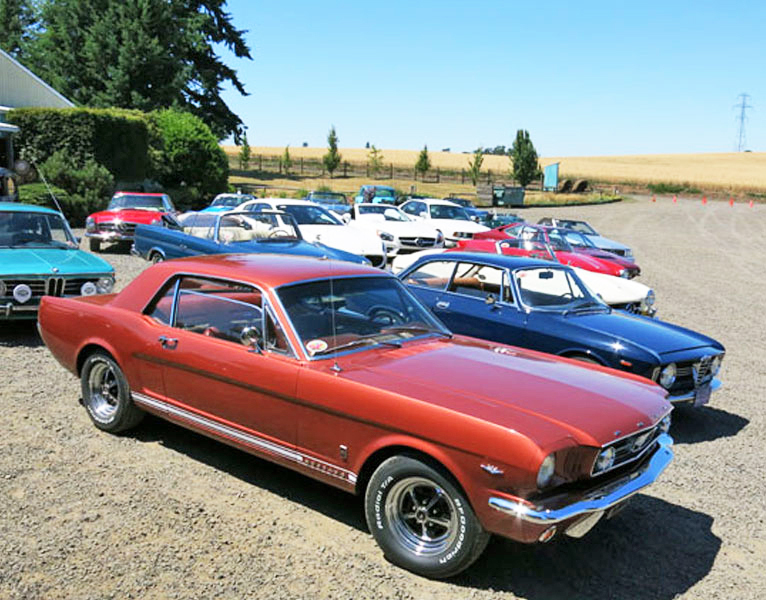 Each car has pros and cons; coupe versus a fastback versus a convertible. 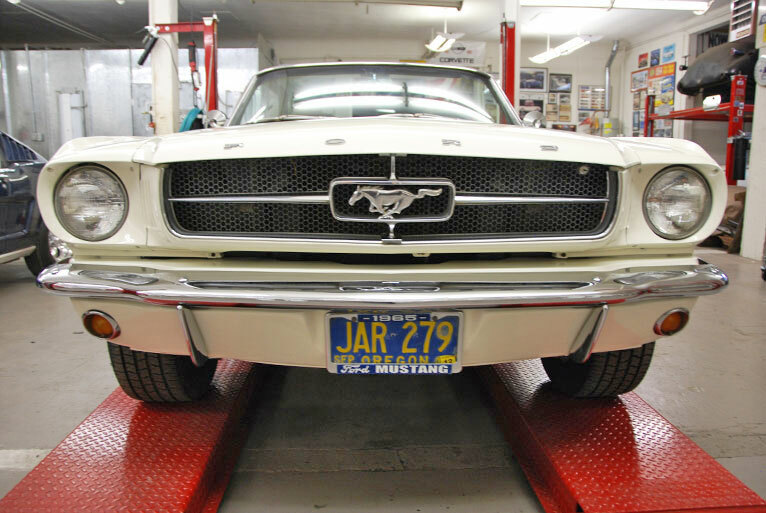 I am not a master mechanic but restoring each car taught me many lessons. 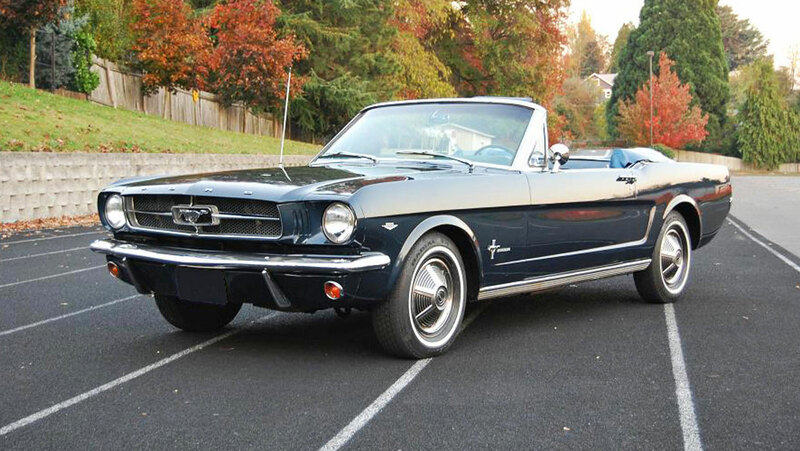 Now when I see a 1965-66 Mustang on the street or at a car show I feel pretty connected with how they’re put together. 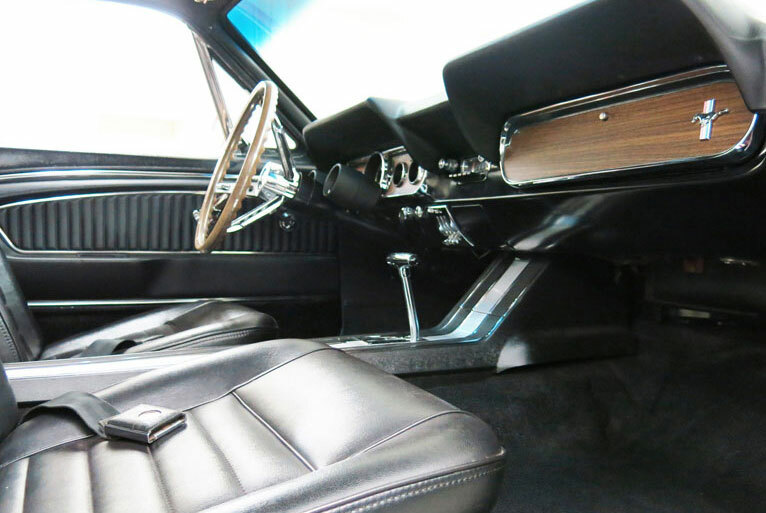 One of the first cars I ever drove was my older brothers 1965 burgundy coupe. I remember the sensitivity of the gas pedal and my lack of experience learning to ease into it, trying to keep the car from lunging. 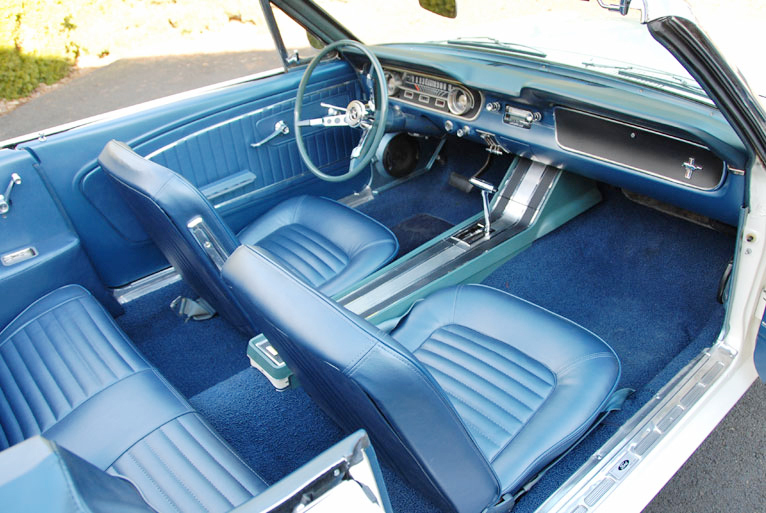 That car went away when my brother went to college and years later he and I acquired a dark blue 1964 ½ 289 V8 convertible. I had the car painted, detailed the engine, added a new carpet kit, and replaced the soft top. 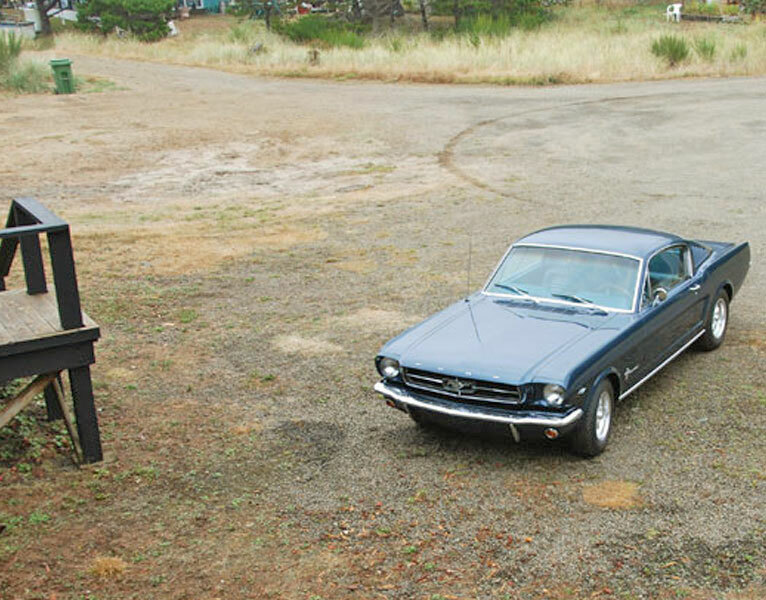 We had that car for six years and I thought it cured me from my Mustang fixation, but that was not the case. 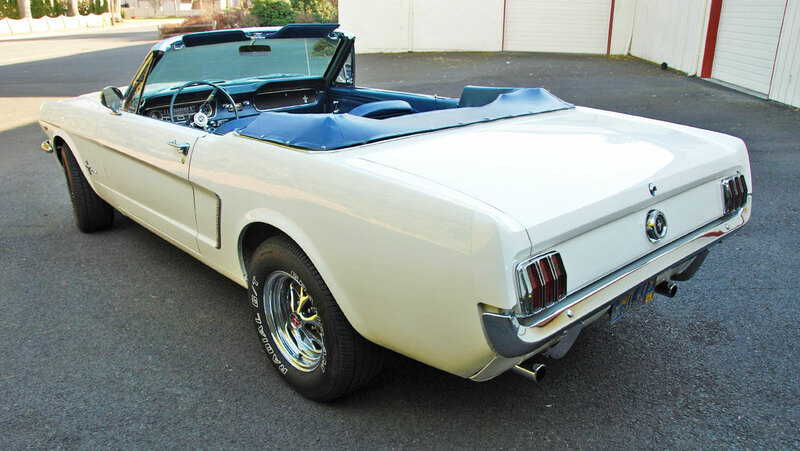 Next up I see a white 1965 Mustang 289 V8 convertible for sale locally and go to take a look. Within a few hours I’m the new owner. I was excited about the car and gave it the same treatment as the last convertible. New paint, new interior carpet kit, and engine detail / tune up. 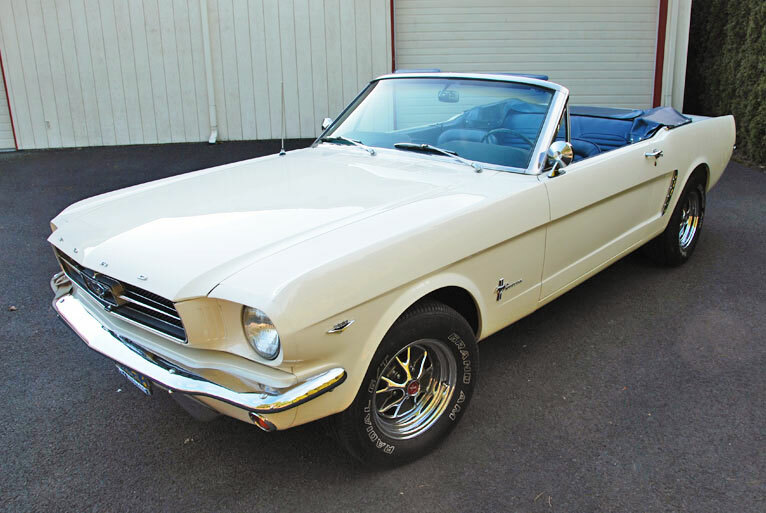 I then noticed the considerable difference between a 1965 Mustang with power steering and one without. This car did not have power steering and after a few months my eye started to wander. Poking around I saw an ad for a 1966 Mustang GT coupe in the rare factory color “Emberlow”. It had a tu-tone pony interior and was only a few miles from my house. I had never seen this color combination before so I went to check it out. I fell in love with the colors and soon it was in my garage. 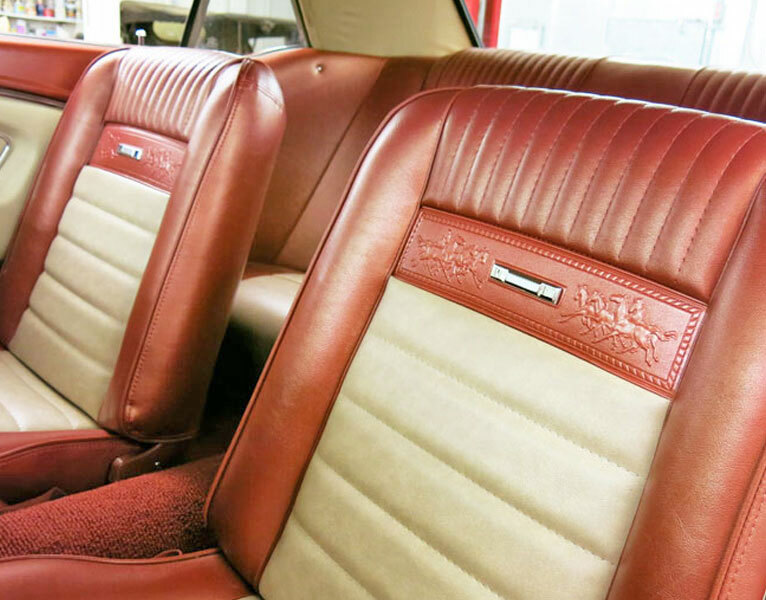 Now this car had a lot of needs and it took over a year and a half to restore. The car was stunning when finished. I took it to the Forest Grove Concourse de elegance that year and on the tour. 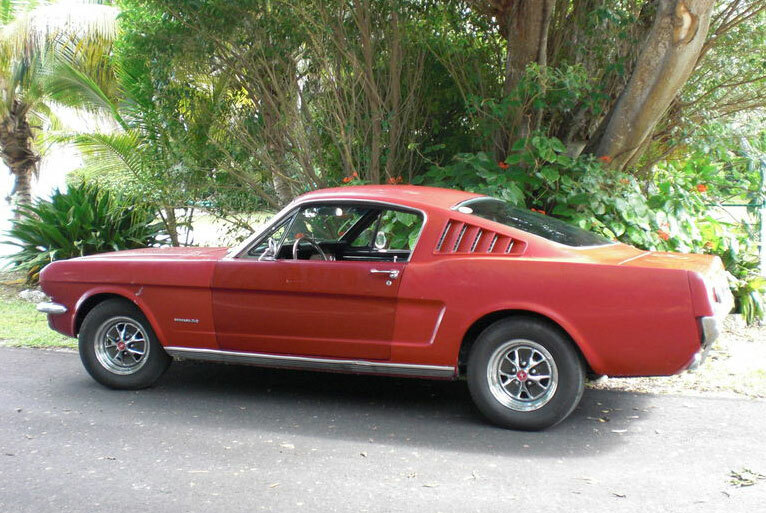 Looking on eBay I found a red 1966 Mustang fastback in Florida. The interior and mechanics were done but it needed a paintjob. It is risky buying a car from the east coast as rust is very common in that part of the country, but after talking with the owner I learned the car had been in CA up until the last six months so I pulled the trigger. I got the car home and took it straight to my painter. 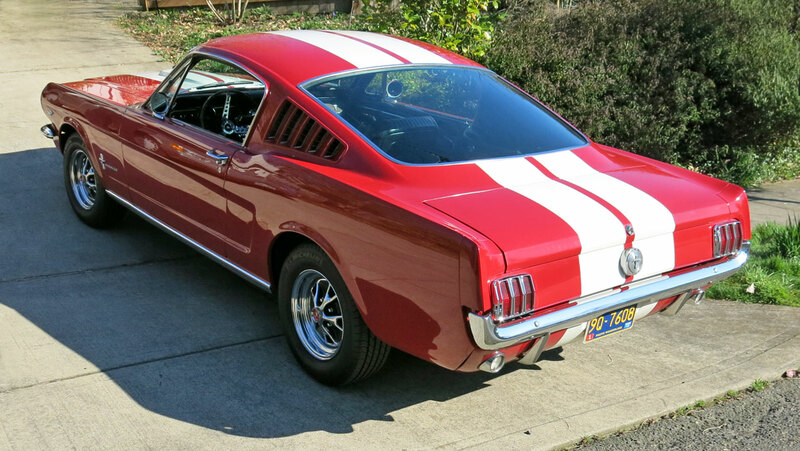 I always liked Shelby stripes on a fastback so I had white stripes added when getting the car painted. 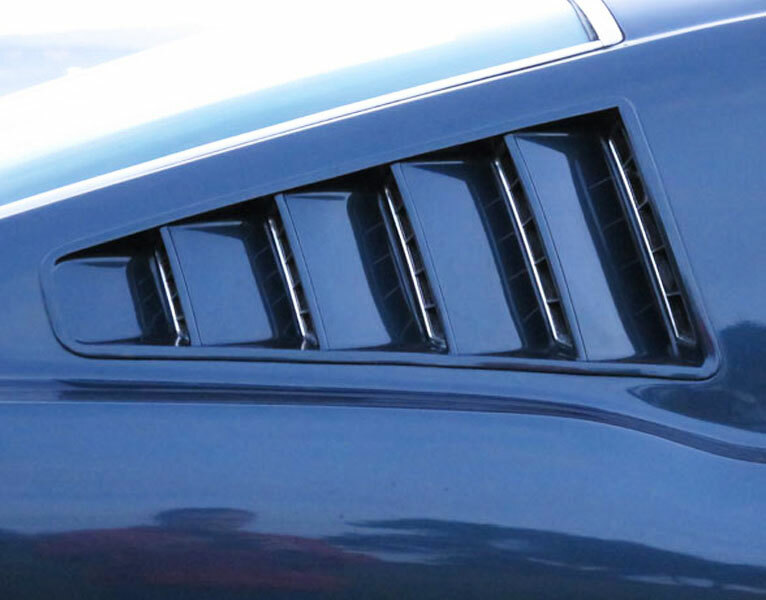 I never paid much attention to the shape of Mustang stripes till I hunted down the templates. In order to give the proper perspective they’re not perfectly straight, kind of a mind bender when you look at the whole process. 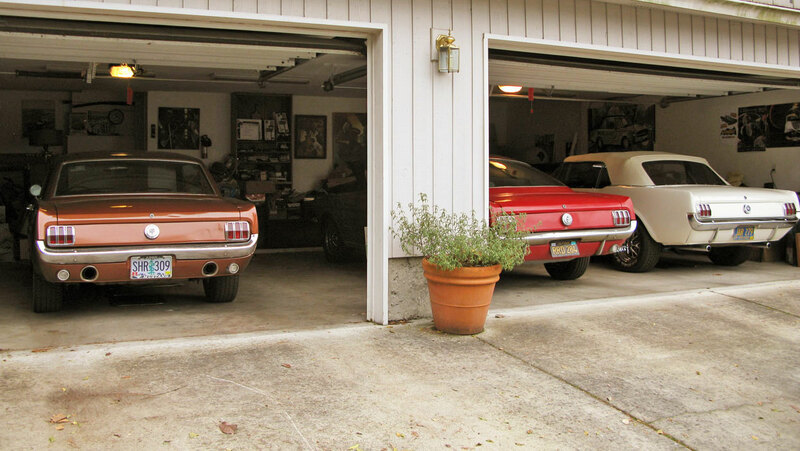 Now things were starting to stack up in the garage and I needed to make some choices. There are no “help groups” that I know about for Mustang Fever but adding a car a year is a bit of a process so I started to plan which car was going to stay. I decided to keep the red fastback. In a conversation with a friend he mentioned his neighbor had a blue coupe that’s been sitting in her garage for years. 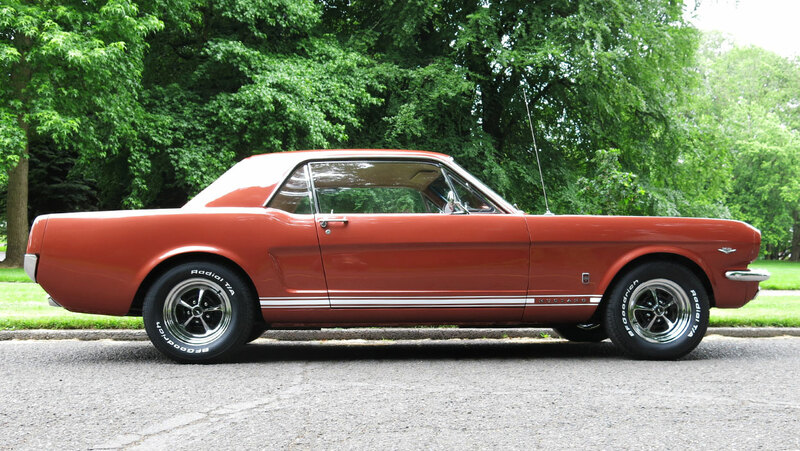 Now I am full on Mustangs but since I have the fever I have to go look. 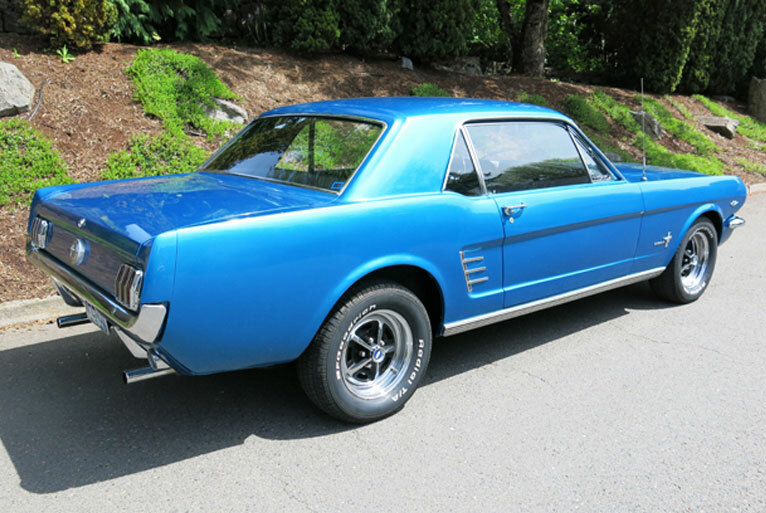 The car is a 1966 blue coupe with a four speed manual transmission and a seriously modified V8 race engine. 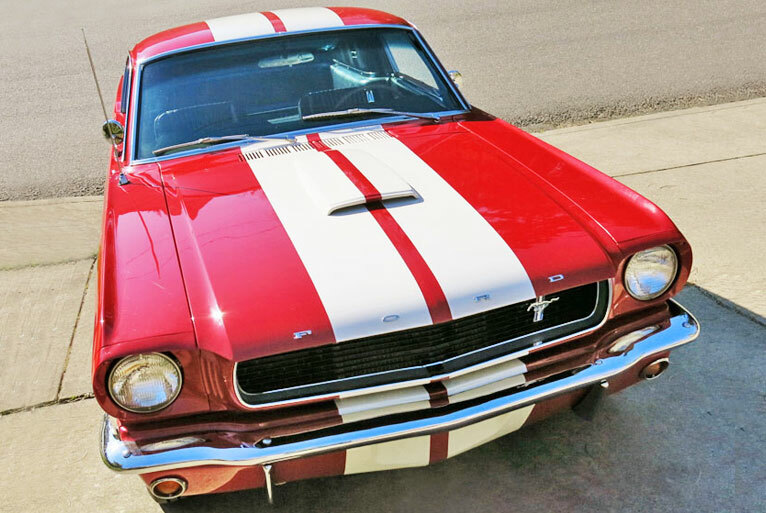 I have never owned a four speed mustang and the car looked like it was ready to start living again so it followed me home. 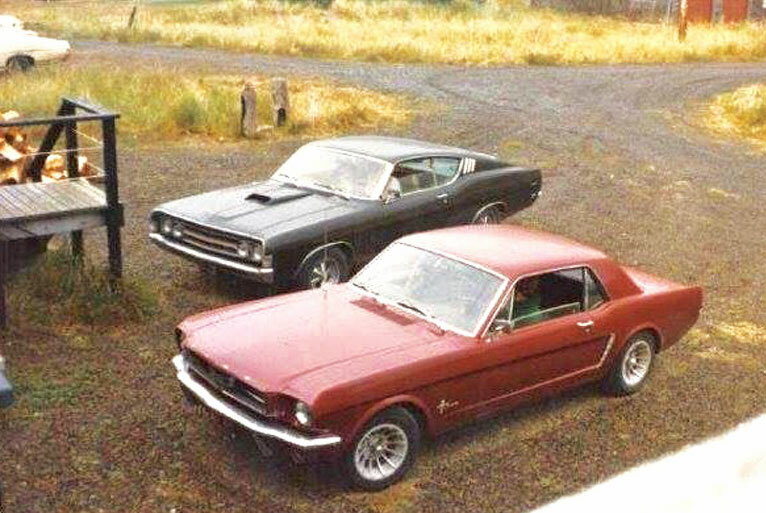 By now my painter was painting a mustang a year for me and I became pretty familiar with several classic Mustang parts suppliers, to the point it almost sounded like I knew what I was talking about. 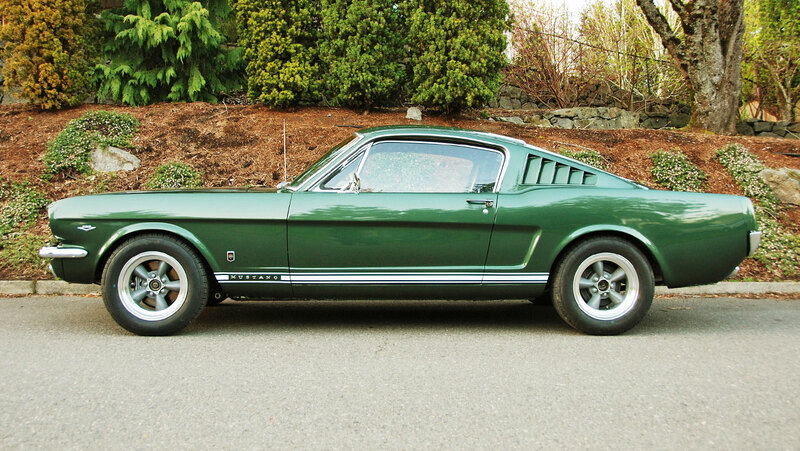 Even though my mustang fever was pretty high at this point everything seems to be settling down until I came across a green 1966 GT fastback! This car was too nice to pass up. 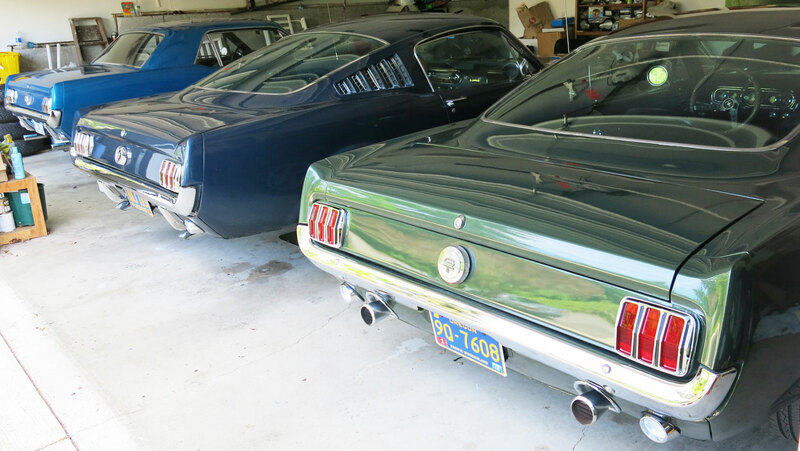 So the new plan was to keep the green fastback instead of the red one. It had a similar color to the 1968 Steve McQueen Bullitt fastback so I put American racing wheels on it to complete the look. 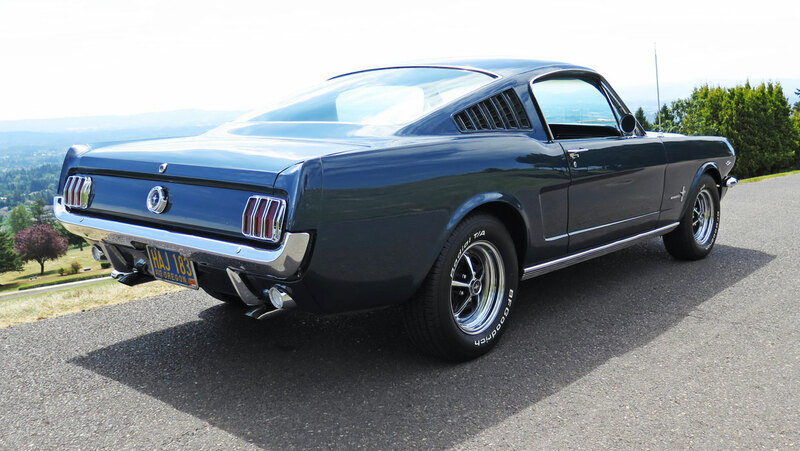 Just when everything seemed to be on track a Caspian Blue 1965 fastback I had always admired became available. I remember driving it once and feeling very connected to it. 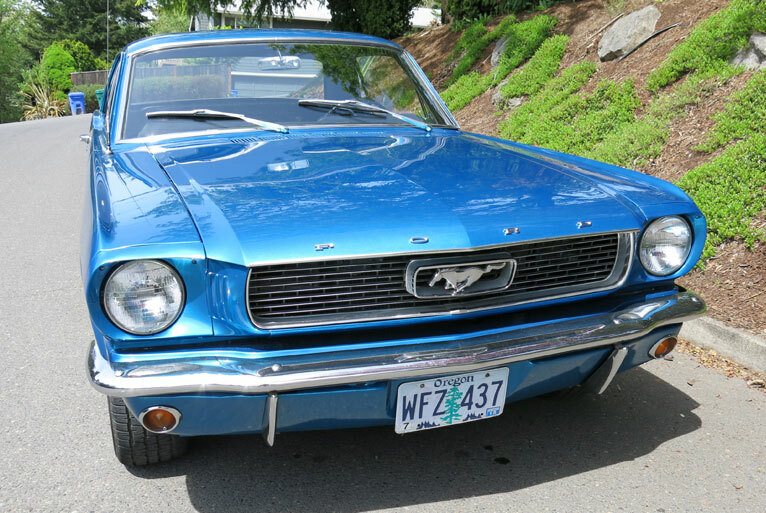 Each Mustang has its own personality and it was clear this was a very special car. I cleared all the other Mustangs out of the stable and kept the only Mustang I will ever need. It took twelve years but I finally found a cure for my Mustang Fever.